An injury-free All Too Soon has returned to winning form with a Rosehill victory under 61.5kg. One-time Group One contender All Too Soon has shown no signs of the injury which forced a premature end to her autumn campaign, scoring a decisive win at Rosehill. 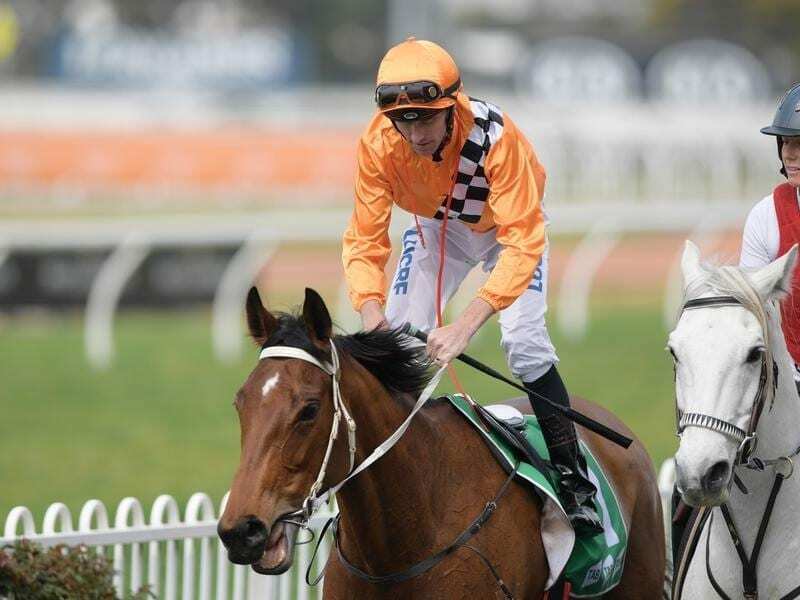 The David Payne-trained mare missed the Australian Oaks when she pulled up lame from the Vinery Stud Stakes amid fears she may not get back to the track. “We had her scanned and it turned out to be just a sprain,” Payne said. The mare was an eye-catching fifth on her return over 1400m two weeks ago when ridden by Jason Collett. Carrying top weight of 61.5kg in Saturday’s1500m-benchmark 78 race for fillies and mares, All Too Soon ($8.50) came from midfield with a powerful finishing burst to beat Eugene’s Pick ($5) by 2-1/2 lengths with the $4.40 favourite Mandylion another neck thirrd. All Too Soon was ridden by Tye Angland, the regular partner of her stablemate, dual Group One winner Ace High. “It was a really nice win. The first-up run was impressive,” Angland said. Payne said he would not push All Too Soon to the highest level again in the near future. “We should be able to find a nice 2000-metre Listed race for her,” he said.